Welcome to MSA Marine Systems, your specialist for the patented tunnel prop drive. 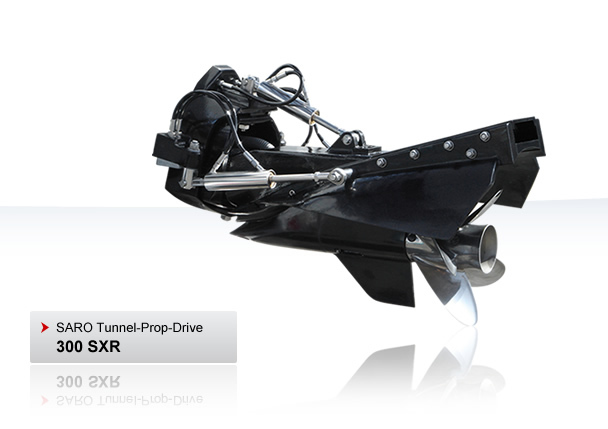 Get to know the tunnel prop drive - an innovation in boat drive systems. Experience an unbelievable thrust that powerfully accelerates your boat from a standstill and even leaves boats with counterrotating propeller systems in it's wake! Not only does the tunnel prop drive beat conventional drive systems for acceleration, the SARO tunnel prop design excels in all navigation situations, slow harbor navigation, landing, reverse, cruising speed and top speed, distinguishing itself through its exceptionally good handling. For commercial, civilian, military or high-performance use, the SARO-Tunnel-Drives from MSA are the only logical choice for your boat's drive train! Find your dealer or service-partner worlwide.